Filmmakers constantly face exposure challenges on set, choosing between detail in the highlights and in shadows. Shooting Log from the camera is a partial solution, recording a broader brightness range but still you need to compromise on the monitor's image quality. 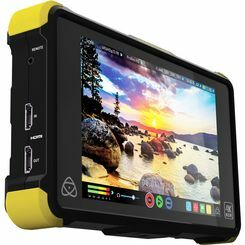 The solution is the Shogun Flame, a 7" 10-bit AtomHDR 1500nit Field Monitor with 4K/HD 10-bit ProRes/DNxHR recording, Sony & Canon Raw to ProRes/DNxHR recording, professional HDMI, SDI and XLR connections along with LTC/Genlock & . . . .